Steph's Stacks: Trailer Tuesday: Mortal Instruments, Oz, Beautiful Creatures, Les Miz, Finale, City of Dark Magic, Born Wicked and Zombies Singing! 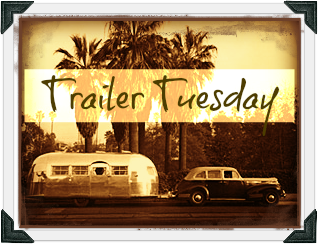 Trailer Tuesday: Mortal Instruments, Oz, Beautiful Creatures, Les Miz, Finale, City of Dark Magic, Born Wicked and Zombies Singing! I would've gone to see Twilight Breaking Dawn Part 2 if only for the trailers alone! Not only did they feature almost every trailer from last weeks Trailer Tuesday, there were also some trailer premieres that I'm so excited to share with you today! The movie doesn't come out until August of next year, but in the meantime we will have to be satisfied with the trailer for The Mortal Instruments: City of Bones. It looks great! I love this trailer for Oz: The Great and Powerful. You know I love a pretty picture and this one looks gorgeous! The movie adaptation of Beautiful Creatures is right around the corner (Feb. 15th, 2013) and I, for one, can't wait. I love Emmy Rossum as Ridley in this trailer. She's going to be the perfect foil for Lena! You've probably seen it a million times already, but I love love love the extended trailer for Les Miserables and just can't get enough. I tear up every time. Come on Christmas Day!!! Well the is over and the Becca Fitzpatrick's Hush, Hush saga is finally coming to a close with Finale. The novel was released Oct. 23rd, but I thought you might like to check out the trailer because it's pretty cool. I was lucky enough to snag a copy of Jessica Spotswood's Born Wicked at New York Comic Con this year and this trailer makes me want to get crack-a-lackin on reading it! The paperback is due in stores January 3rd, 2013. I just love the website How It Should Have Ended and (as you know) I love everything zombie, so here's a zombie treat for you from these clever peeps. I especially love the line "brains that I used to know...". Check it out!